Julianne Ahn views her work in the age-old realm of clay and pottery as an antidote to the world's current obsession with cyber-everything. "Ceramics and pottery appeal to me because they force a type of engagement that feels very raw and physical to me," she muses. "I think this is even more interesting as a creative, especially during a time when we are consuming so much through digital images. Pottery forces you to be tactile and to succumb to the variables that clay as a medium offers, which can be precise and unpredictable." 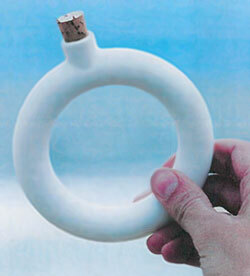 Ahn's interpretation of a Pennsylvania ring-shaped flask has become streamlined and modernized. It is available to order through Areaware at www.areaware.com in three colors: white, turquoise, or chrome.Photo courtesy of Areaware. The Brooklyn-based artist works under the moniker of Object + Totem. Her ceramic creations have been sold at upscale boutiques and specialty shops, and her jewelry has been available at Anthropologie. 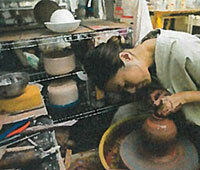 Ahn sees herself as a new breed of clay artist, and she is proud to be a member of this evolving community: "I'm part of a new generation of potters that is bringing a more modern presence to the market. I am part of the creative community--one that is more accessible." In addition to the work that she has produced for her own studio, Ahn is well-known for her designs that are part of the Areaware catalog of cutting-edge creations. Her reinvention of a 19th-century Pennsylvania hip flask, which can now be worn as a bracelet, is fun, funky, and functional. Ahn can be contacted for commissions and special-order requests, and she accepts these on a case-by-case basis. Laura DiPietro and her husband, Dario, scour the globe to uncover just the right item that will spark their creativity and fire up their imaginations. The unique inspirations that they encounter are translated into their home décor business, which includes dramatic light fixtures and lush textiles. 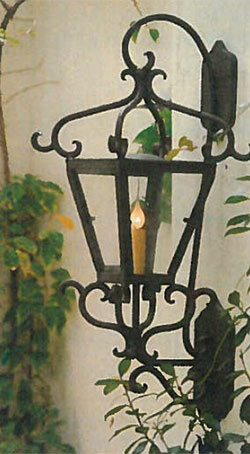 For their wrought-iron lighting creations, known as Laura Lee Designs, the husband-and-wife team does collaborate with their clients on custom-designed pieces. Their personal interpretations are highly sought after in the lighting field, and their work is often described as majestic. 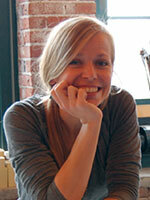 According to Laura, "Inspiration for our wrought-iron fixtures is drawn from both historic and contemporary aesthetics. This makes our pieces one-of-a-kind works of art. We have a small team of highly skilled artisans who hand-forge and finish each of our unique designs." Their very theatrical and impressive handiwork runs the design styles from Mediterranean to Gothic, Spanish-style to contemporary, hacienda to industrial. In addition to their solid reputation in the world of lighting, the couple has also earned rave reviews for their collection of fabric and cloth creations. "Laura Luna Textiles is a collection of pillows, accessories, and huipiles, which are garments that embody the history and tradition of Mayan culture and the people of the Guatemalan highlands," Laura states. "Siena" epitomizes the dramatic flair that distinguishes Laura Lee Designs. Laura Lee Designs offers consumers a chance to fulfill their wildest lighting dreams. The assortment of handmade textiles is meticulously curated by Laura. They work directly with their indigenous Mayan partners in ushering forth colorful and exotic hand-woven home accents. Their repurposed textiles are made using Fair Trade practices in conjunction with a 2,000-year-old tradition. According to Laura, retailers should underscore the personal, individual origin of their handmade wares. "When a consumer buys handmade, he or she is getting an heirloom-quality creation that will be enjoyed and used for generations," she emphasizes. "A customer is also directly supporting small-business owners and craftsmen with that purchase." 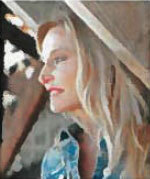 Laura Lee Designs is noted for its theatrical, historical perspective. 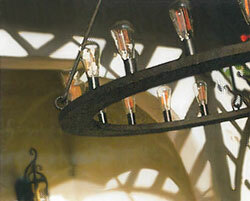 The "Mallorca Chandelier" offers a fusion of different time periods and perspectives. 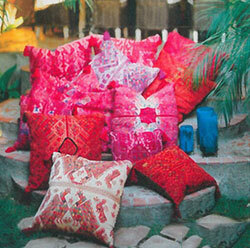 A brilliant and bold color palette combined with a venerable tradition defines Laura Luna Textiles. Parents Chuck and Heather, and daughter Mimi, comprise the Bittersweet Springs team. The Oregon family operates their business with a powerful prime directive: "Our goal is to repurpose with purpose. 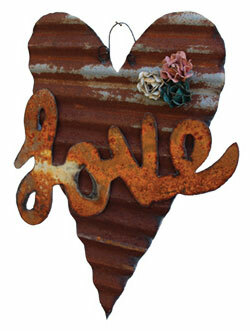 It is to rescue materials that someone is about to discard and create homemade décor items." Many of the materials that the family uses are between 80 and 100 years old. Each item is hand-cut, and each piece has its own unique craftsmanship and aged patina. The Bittersweet Springs team takes the notion of "hands-on" to a whole new level. The trio tears down the barns themselves and then works as a team to conjure up clever purposes for their harvested raw material. "Occasionally, someone finds metal for us," they say, "but this is a family business. We answer the phones and e-mails, travel to gift shows, and make the product. We work as a team, saving materials, and using our creative ideas to adorn people's stores and homes." 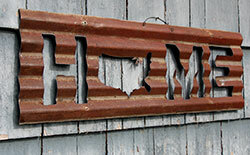 Bittersweet Springs hand-cuts each vintage metal sign. With that hands-on personal touch, the sign can say anything. The family sees their conversion of architectural history into marketable, decorative pieces of art as a reflection of their own affection for unique, handmade goods rather than manufactured, factory-made products. They firmly believe that their individual craftsmanship and innovation give their customers an opportunity to showcase their propensity for individuality rather than conformity: "Having unique items in our homes allows us to share a store of history with our family and friends. It speaks to our individual tastes. Decorating with handmade items, instead of mass-produced items, shows gratitude for our taste and the creative people around us." "Love" is a metal collage; the roses are attached with magnets, allowing shop owners and their customers to arrange the flowers anyway that they please. "Our jewelry has a story to tell behind each piece," Hunt attests. "You can customize any handmade Vintage Green Jewelry creation." The handmade jewelry is fashioned from natural elements, 24-karat gold, and semiprecious stones. 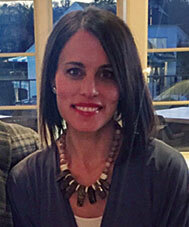 Edith Anne Hunt is excited about all the creative and technical developments at Vintage Green Jewelry. Prominent among the new directions for Hunt's company is an emphasis on wholesalers and an easier outreach to them. "We are in the process of redesigning our website so that it is more focused on our wholesale accounts. Wholesalers will be able to log onto our newly created website to place new orders and view past ones," Hunt explains. Vintage Green Jewelry has been insightfully described as creating "bohemian statement pieces, with luxury layering." The company uses a combination of semiprecious stones, natural elements, and 24-karat gold. "All of our lines are limited editions and we often customize pieces exclusively for retailers," Hunt shares. "Our products are high-quality, handcrafted pieces. There is quality control behind each and every piece, and there is a unique connection between the artisan and the customer." The right table setting and tasteful stemware can make all the difference when a host or hostess invites guests for a celebration or holiday dinner party. Viterra, which is based out of Rancho Cucamonga, Calif., has permanent showrooms in Atlanta and Las Vegas. The company's tagline is a very brief but brilliant one: "The Art of Glass." Company curator Erica Friedman is a glass blower who understands the art of the craft, as well as the expectations of the customers who gravitate to handmade glass pieces to add that extra oomph and elegance for social gatherings. "We have many new collections," Friedman says. For the summer 2016 shows, they are planning to unveil 12 new art-glass collections. 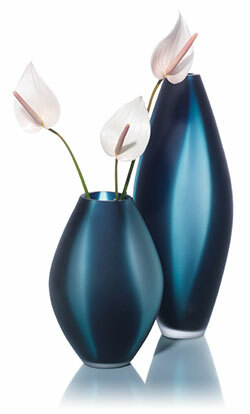 "We show our customers trend-right colors, new designs, and skilled art-glass techniques," Friedman elaborates. Viterra's handmade collection encompasses a wide array of décor possibilities: vases, platters, centerpieces, bowls, candlesticks, and objets d'art. 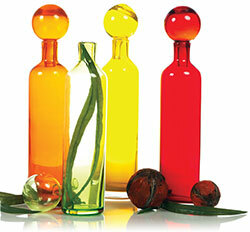 A "Spectrum" of color is visible in these stylish and forward-thinking Viterra glass designs. The company guides its retailers through on-trend color selections. "Aura" showcases a sleek, elegant modernity from Viterra. Viterra's glass creations are sold across the U.S. in museum shops, furniture galleries, design stores, and independent home-décor retailers. 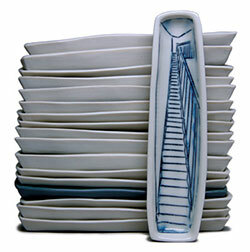 An essential theme in ceramic artist Nicole Aquillano's work is "the nostalgia for home and the exploration of place." This is a motif that she visits time and again, and her pieces reflect this recurring preoccupation. "I'm interested in the deep personal connection associated with the idea of home, as well as the ability of place to define and connect us," Aquillano shares. "I often use the image of my childhood home on my work, and have begun to explore the use of text as well--using phrases over and over." The Boston artist has been making pottery for the past 16 years, but for much of that time she had only done it as a hobby; her identification as a potter began in 2010. With two years as a graduate student at the Rhode Island School of Design, the one-time engineer approaches her artistry with a combination of both heart and hand. 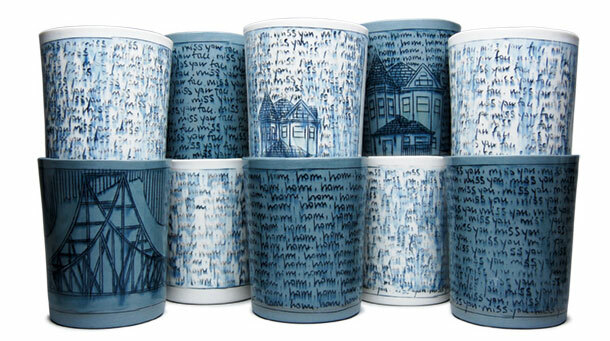 With subtle blue coloration, her pieces have the appearance of a ceramic blueprint, functioning as a building block for the construction of a home's unified table setting and dishware. Measuring 6.5 inches tall, Aquillano's tumblers are porcelain and mason stain with mishima (inlaid underglaze) and glaze. 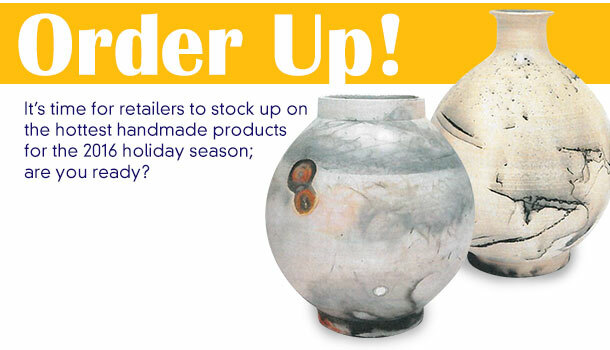 "I've often faced the misconception that pottery exists solely in the world of craft," she states. "It's not revered as art. When a work takes on functionality, it somehow loses its ability to be backed by an artistic concept. As a potter, I have to overcome this misconception by continuing to make pots and explaining the reasons why it is an art form." Her creations are available for purchase throughout stores and galleries across the U.S., and she accepts commissions through her website and does custom work. Anca Barbu acknowledges that people have very unique, personal relationships with their iPhones. Understanding that the "i" in iPhone is more reflective of the owner rather than the Internet, Barbu made it her mission to beautify these cases one brushstroke at a time. "I started painting iPhone cases rather than big canvases in order to have a higher reach and to get more personal," she states. "After all, each person is very attached to his or her phone, and now they can have art on it." Barbu works under the brand name of BrushCases, and her handiwork can be found in shops that span from New York City to Long Island, and sprawl into bustling art destinations, such as Miami. 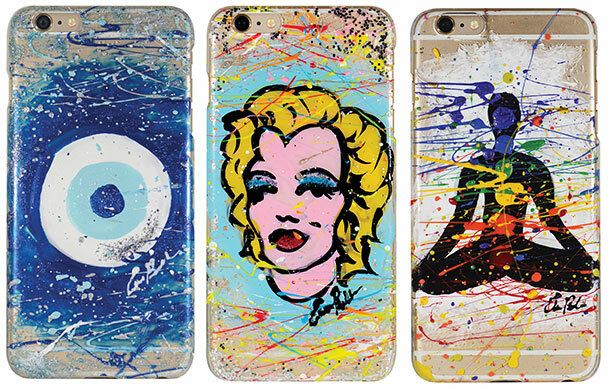 Even though she is very inspired by the abstract splash work of Jackson Pollock and pop icon Andy Warhol, her business acumen begins from a very realistic realization: "Why not stand out and have art on your phone rather than a mass-produced, unattractive product from overseas?" Hoping that retailers and customers agree with her bias, Barbu is striving to get her creations placed in boutiques and galleries in every major city across America. Her ultimate ambition is a grand one: "I want to make people have easier access to art on their phones rather than their walls." Above Left: Barbu wants to place original, hand-painted art into the hands of iPhone customers across the nation. "Evil-Eye" is one of her BrushCases. Above Center: Pop icon Andy Warhol's infatuation with fame is explored on Barbu's hand-painted iPhone case. Above Right: "Chakras" features some of the splatter and splash technique that Barbu favors. Nancy Dunitz's journey as a handmade business entrepreneur and fair-trade advocate is a long and inspirational one. She first traveled to Guatemala in 1989, and during the early stages of Dunitz and Company, she became acquainted with two artists who introduced the technique of beading to Mayan women. Soon after, a sustainable and viable business was forged. 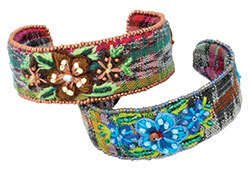 "Through the creation of fashion-forward designs, a demand for beadwork was created," Dunitz recalls. "The beauty of our collection is that so much of it is collaborative with our talented artisans. 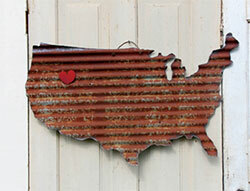 In this era, more and more [U.S.] customers want handmade goods that are made in a fair and healthy environment. My company has been rigorously screened for membership to Fair Trade Federation." Boutiques and specialty shops love to order and re-order from Dunitz and Company because they always have new designs in new colors. Each season, Dunitz offers her company's designs in 12 different hues. The styles are varied and appeal to different age groups, tastes, and price points. "We've also learned that many customers don't want to look like anyone else. For that reason, we offer several designs where each piece is truly unique. There is much appeal to the one-of-a-kind items we offer," Dunitz affirms. A line that holds personal significance for Dunitz is the Joanie M Collection, which debuted in 2011. It was named to honor Dunitz's mother, and came about when Dunitz saw the exquisite glass work of a local artisan named Rosa. The two women began to collaborate, and the result has been a huge hit.